The latest stable release of Chrome allows users to trigger a sneak peek at the browser's new look. Google’s Chrome browser will soon get a slightly new look, but users of the latest stable release needn’t wait. 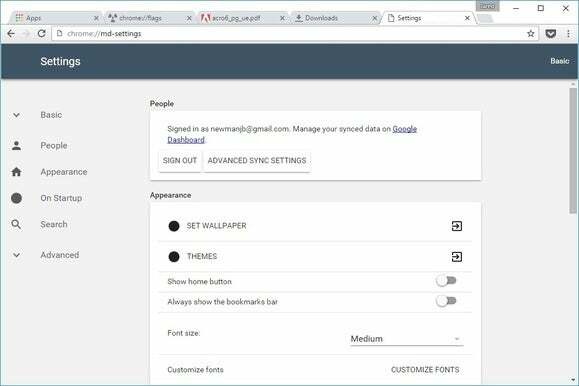 As spotted by The Next Web, Chrome now offers several optional tweaks in line with Google’s Material Design aesthetic. These include changes to the browser’s menu and bookmarks bars, downloads page, and PDF viewer. 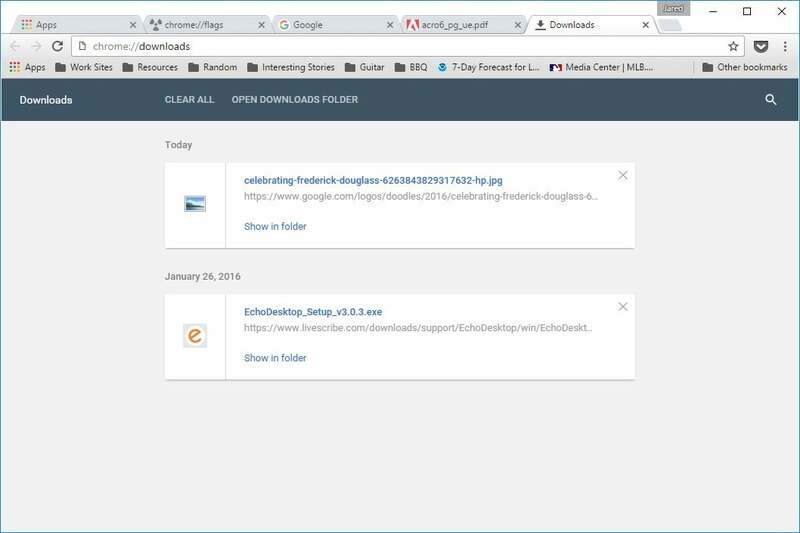 To enable the changes, visit the chrome://flags menu and select “Material” from the drop-down for the following items: “Material design in the browser’s top chrome,” “Enable material UI for PDF,” and “Enable Material Design downloads.” Additionally, users may preview a new Material Design settings menu by visiting chrome://md-settings. Compared to Android’s Material Design makeover, Chrome’s new design isn’t a drastic change. Some icons have thinner lines, and bookmark folders have switched from yellow to a single shade of gray. The menu button now uses three dots instead of horizontal lines, and animates with a little gray burst when clicked. Address bar text also appears to be smaller, with a darker icon for HTTPS sites. 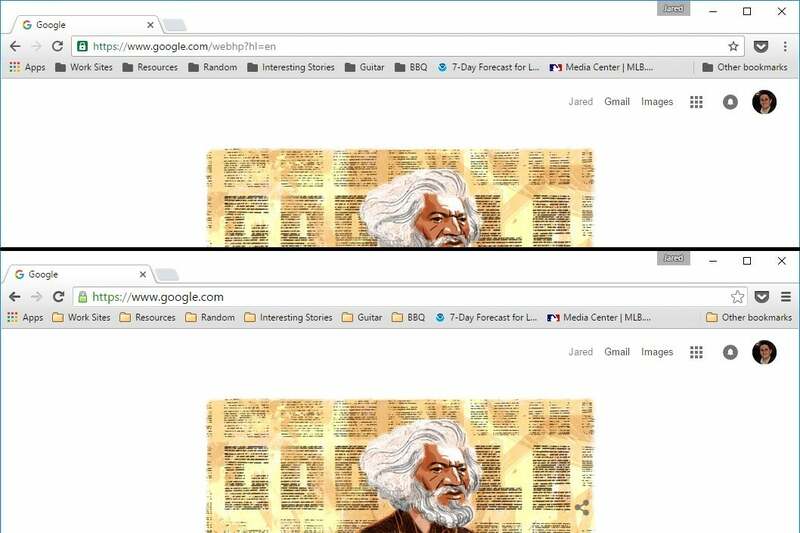 Google Chrome with Material Design (above) and without it (below). 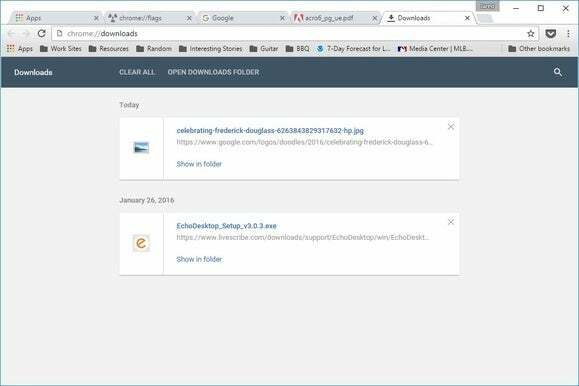 The downloads and settings pages have more noticeable changes. The former now represents each download as a card, with an “X” icon to remove it from the list. The latter employs new fonts and splashes of blue for checkboxes and radial buttons. 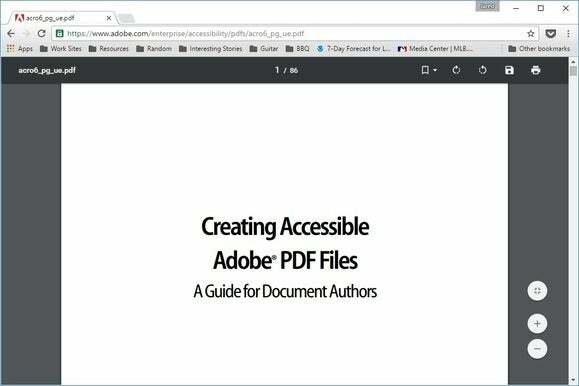 Chrome’s PDF viewer also looks a lot different in its Material Design refresh, with a top navigation bar and circular zoom buttons that slide into view when you move a mouse cursor over the page. The Next Web notes that the Material Design refresh is still in development, and subject to change. Beyond the changes available now, Google has also called for a new dark theme for Incognito browsing—mirroring the existing look on mobile devices—and a new video player. It’s possible that these changes could go live for all users in Chrome 50, which is two releases away from the current stable version. Why this matters: It’s been a year and a half since Google first introduced Material Design, and longer since Chrome received any sort of visual overhaul. Meanwhile, new browsers such as Microsoft Edge and Vivaldi have come along with more modern aesthetics, and even Firefox got a major facelift a couple years ago. Even if Chrome’s changes aren’t major, they certainly are welcome.